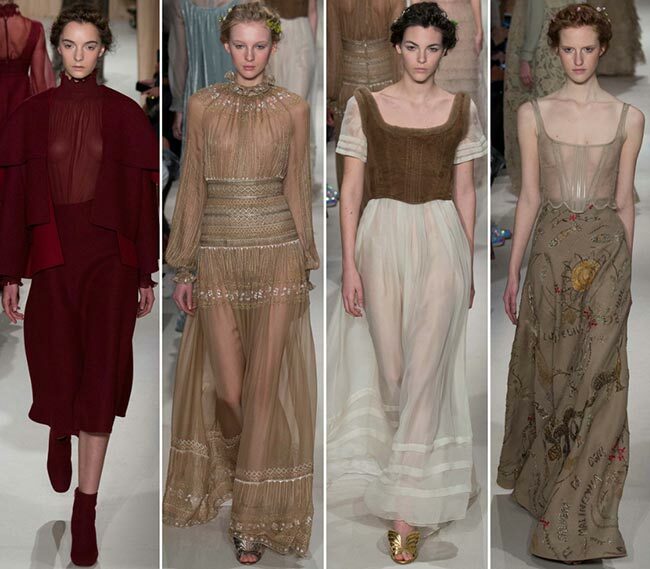 As always, the Roman clothing company that is so revered for its designs has set the bar rather high at Paris Haute Couture Fashion Week runway show presenting the mind-blowing Valentino Couture spring/summer 2015 collection inspired by love and showing a unique blend of the modern and historic, something which has defined Valentino’s jaw-dropping designs for years. 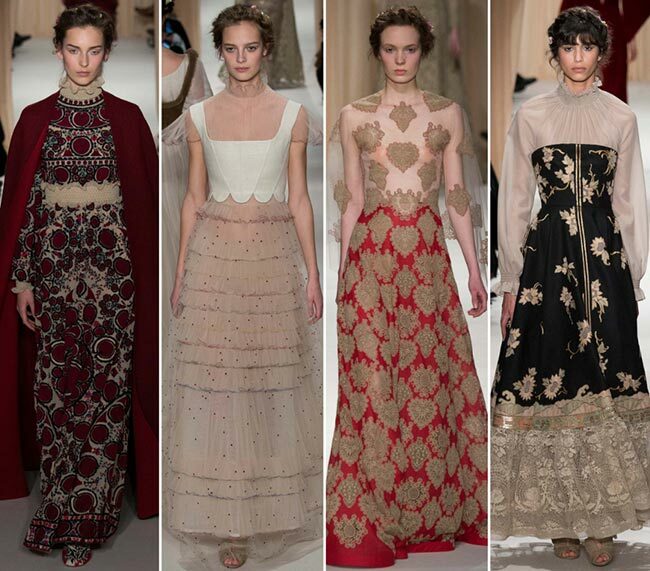 It was in the 1960s that Valentino ventured into international waters, and bringing his designs to Paris certainly catapulted him to fame. To date, there have been 12 distinct Valentino perfumes created as well. 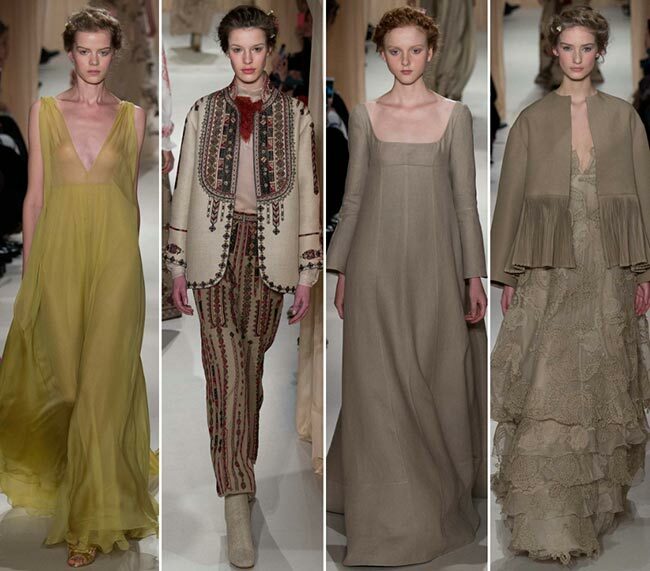 It was in 1968 that Valentino scored the brand’s biggest triumph in the all-white dress collection. 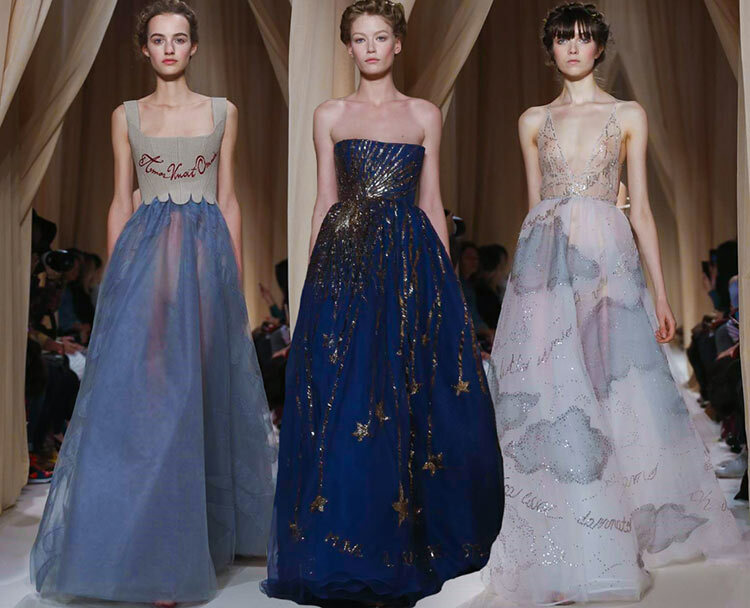 From Jacqueline Kennedy to Elizabeth Taylor, Farah Diba to Princess Margaret, Valentino couture became a must for the wardrobes of the world’s best-dressed. The international experience of the fashion house certain translates into this year’s haute couture fashion show collection, wherein it appears that a trip around the world in the ’80s days has been the main inspiration. 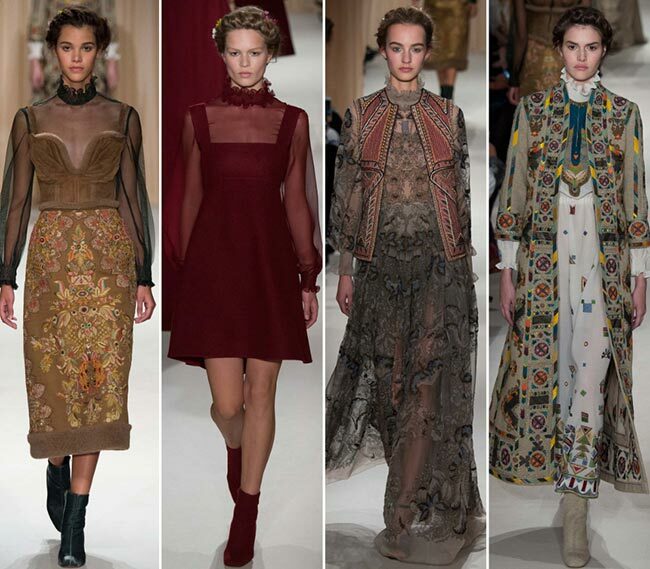 Creative directors Maria Grazia Chiuri and Pier Paolo Piccioli certainly have outdone themselves, presenting such a magnificent array of designs to choose from, viewers are left dumfounded. 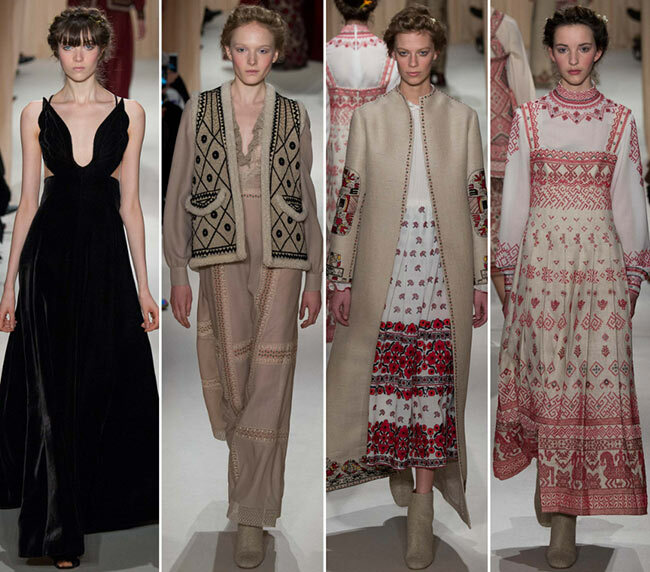 The focus appears to be on foreign royal houses and the traditional attire of the courts combined with a touch of modernity. Before delving into historical costumes, the Valentino Couture spring/summer 2015 collection begins with a beautiful modern black velvet number, complete with a deep plunge at the neck and a butterfly style look, the wings extending over the shoulders and onto the back. It is a long gown, simple and without any embellishments to take away from the epic proportions of the design. This one is easily seen as a red carpet favourite, especially when coupled with fringed bangs and left bereft of any jewellery that may normally adorn the arms, neck, ears and any other part of the body. Each piece in the collection is of a unique design, as if inspired by a different city, a difference culture and a whole different race. 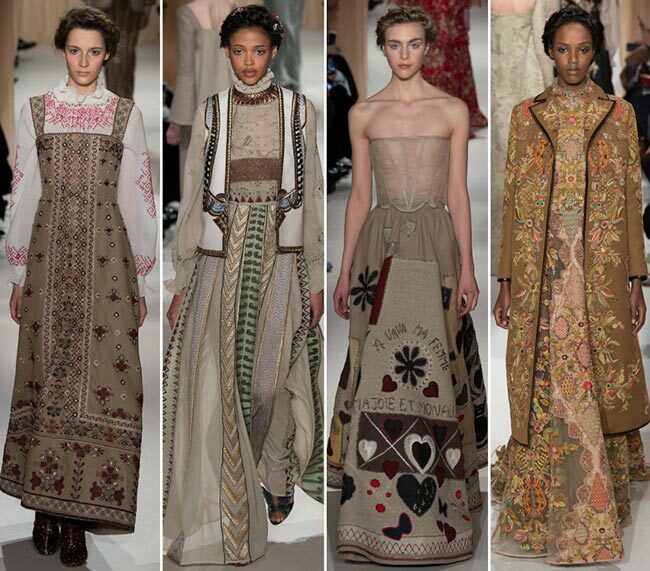 The length of the hems vary with each piece, the colors used keep changing. 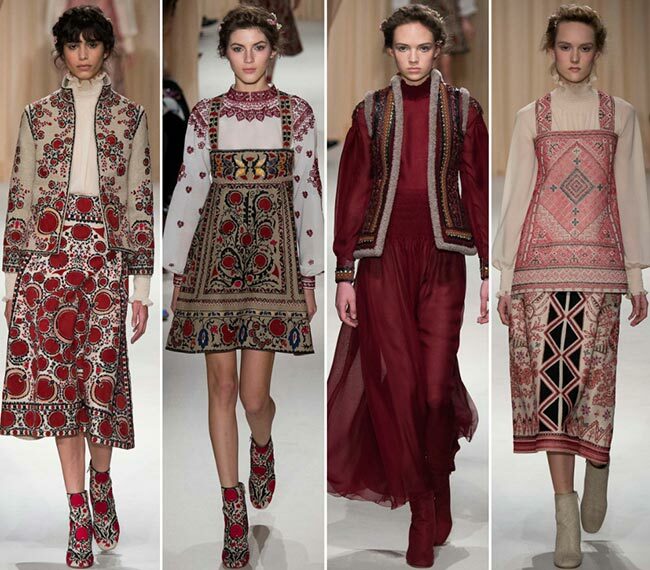 The patterns are never the same between pieces, but in terms of prevalence of trends, we see much in terms of wine reds; we see piece after piece that presents embroidery and prints akin to the Eastern European national traditions. Some even appear as if painstakingly woven rugs have been turned into cloth. We even end up seeing an open midriff or two, set against twin sets of floor-length skirts and cropped high neck and long sleeved tops. Matching pairs of shoes certainly take the cake, while the crimson cape brings more of a regal air to the ensemble. In terms of hair and makeup, the latters is kept to a minimal design, while the former is scraped back in a textured updo, nothing frivolous but certainly not as strict as may have been expected. 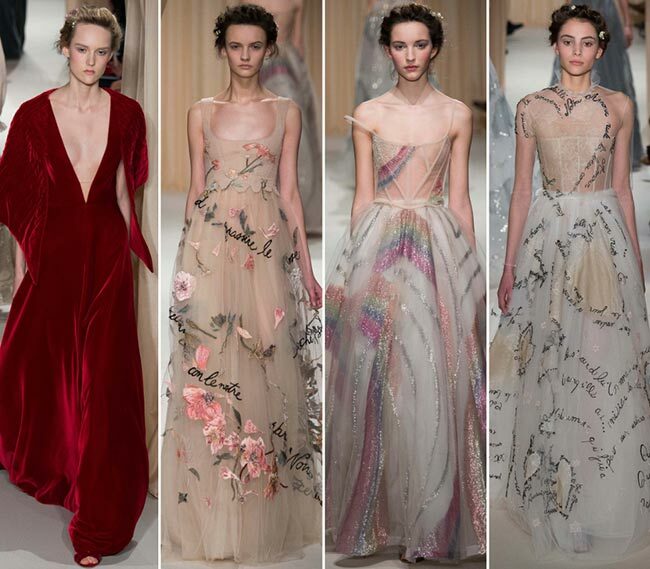 What we see a lot of throughout the Valentino Couture spring/summer 2015 collection show, other than the crimson coloring and the Eastern or Oriental style designed embroideries is the sheer aspects on so many of the pieces, as well as the immense amount of velvet that’s used. 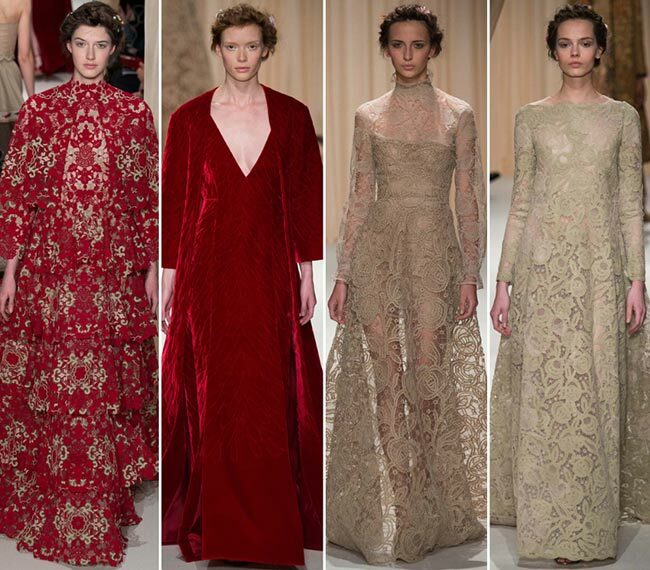 Lace is also always an option, while the necklines range between two extremes: either they are extreme deep V plunges or they are high and ruffled, as they were centuries before. Of course, we do see strapless pieces and simple crow-necks as well, but the extremes are more intriguing to watch. 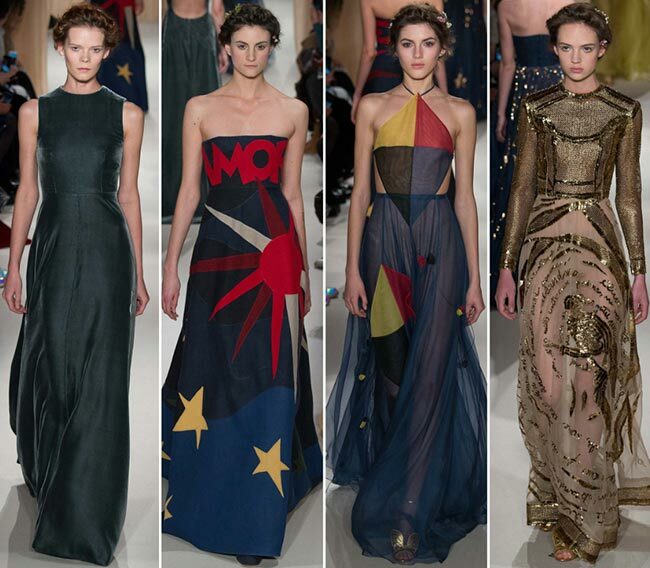 It does, however, appear as if there’s a timeline transition, with changing designs reflecting different points in history, until the last of the 47 gowns seems to reflect modern day intricacies, patterns and fabric choice. Those olden designs would look splendid if worn by the right person during awards ceremonies, however, much more so than the modern numbers.